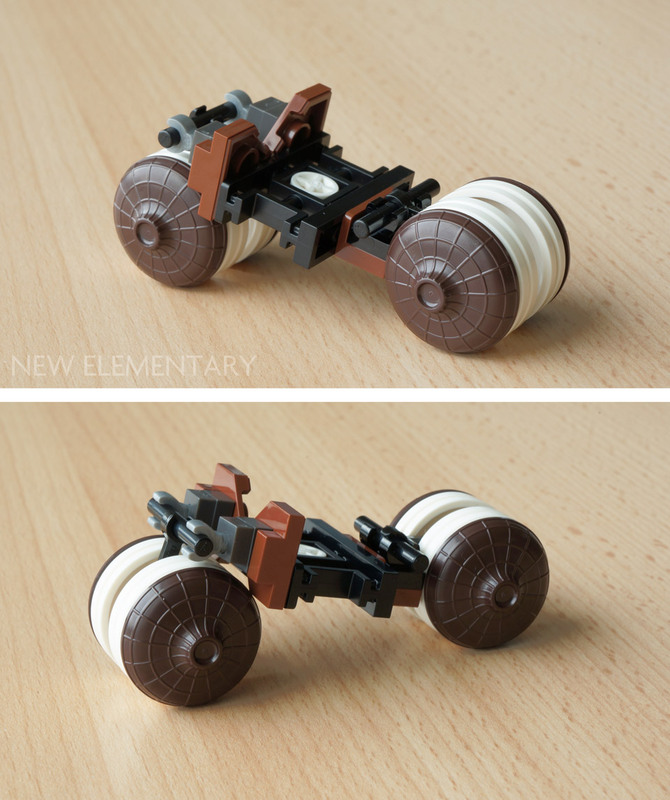 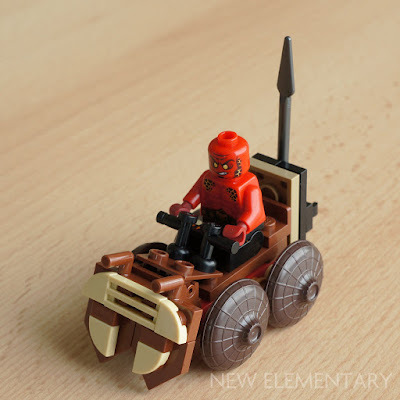 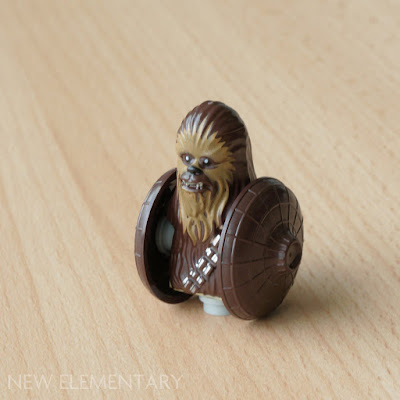 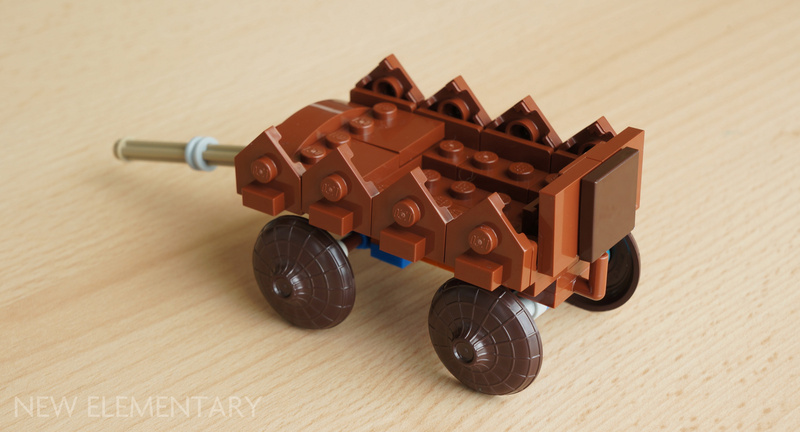 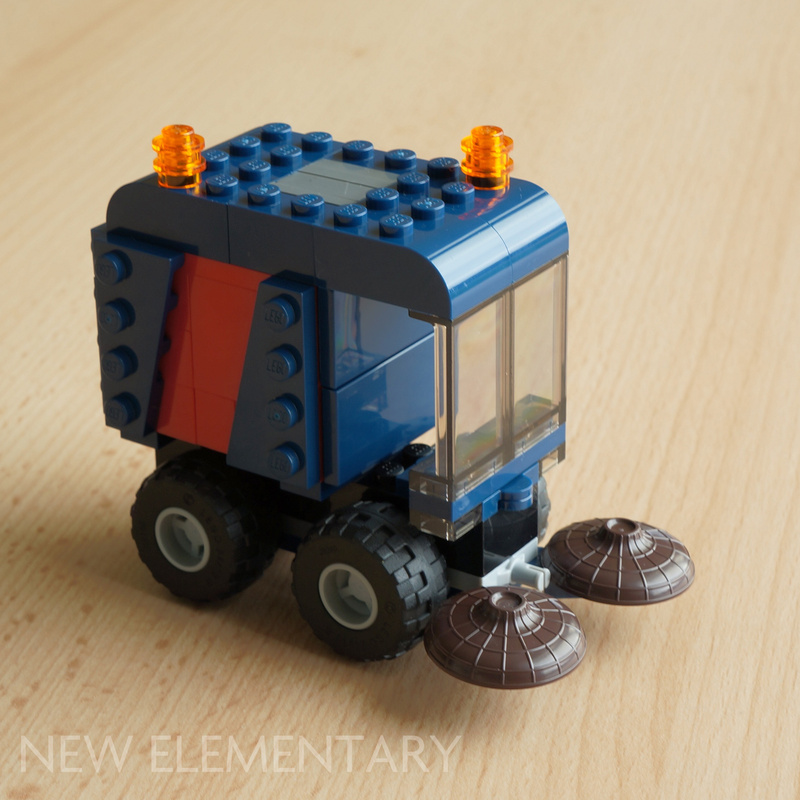 Following on from yesterday's ships, we have some other kinds of vehicles today using new parts, especially the Ninjago Mini Hat No 19 in Dark Brown (Element ID 6198018 | Design ID 26007). 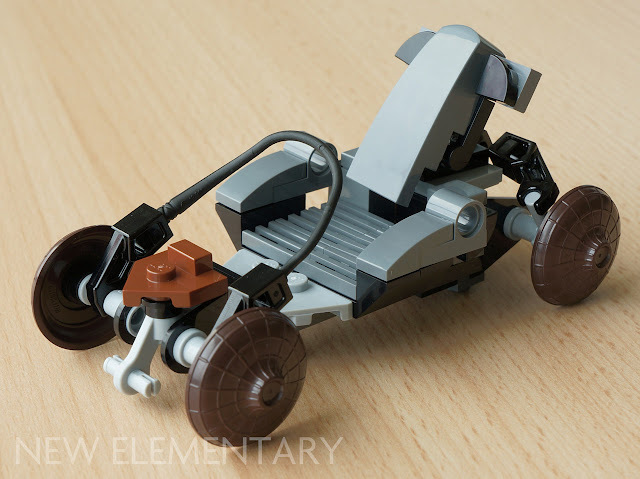 No Minecraft hats here, in fact only one new part: Plate 2X2 W/ Reduced Knobs in Reddish Brown (Element ID 6196221 | Design ID 33909), used for the seat - but what a sweet ride. 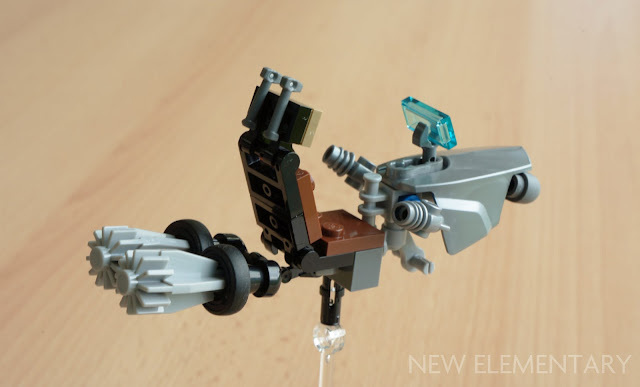 Note also the driver's joystick is a Nexo torso, holding much of the model together.